The flow of announcements of light and thin Ultrabooks is starting to strengthen after yesterday’s Lenovo’s IdeaPad U300s and today’s introduction from Acer of its Aspire S3. So, what does the series of Toshiba Portege Z830s announced Thursday offer that these other Ultrabooks don’t? 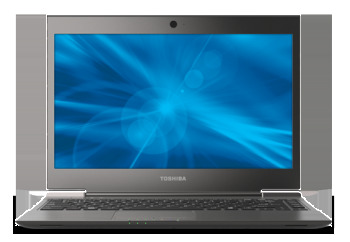 Toshiba claims the Z830 is the lightest 13.3-inch laptop in this class at less than 2.5 pounds. Toshiba’s Z830 announcement states that the company has shaved about 20% of the weight and 40% of the thickness in the laptops from the Portege R830 Series-- which was already pretty svelte--for the Z830. While the Portege Z830 has a slim 0.63-inch profile, it lacks the unibody design of the Lenovo IdeaPad U300s and is less of an Apple MacBook-Air clone than other Ultrabooks. However, you may find a Portege Z830 more attractive just for its sub-$1,000 starting price, that magical price point Intel sold us on for this new class of ultraportable laptops. Toshiba may have managed that low price by sticking a relatively small 128GB SSD in its Ultrabook. If you can live with the smaller storage capacity and are looking for the (self-proclaimed) lightest 13-incher available, you can pick up the Portege Z830 starting in November.